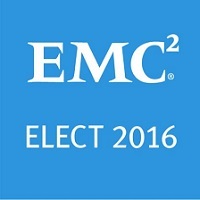 At EMC World 2016, EMC announced the “Project Nitro” – a high performance NAS storage array. And today at Dell EMC World, Dell EMC announced the GA (pre-order from today and GA by 2017) of the All-Flash ISILON array ISILON Nitro. The first All-Flash NAS array to add to their All-Flash portfolio. As per studies the flash storage will be dominating the primary storage by 2020. The reduction in $/GB for Flash and the performance requirements for the modern data center are accelerating this growth. We are seeing AFA model in NAS storage also now and ISILON Nitro is the most recent in this category. Hardware : ISILON Nitro comes with a new hardware architecture from the elder ones in the family. Nitro chassis will have 4 nodes and 60 SSD modules (1.9/3.8/15.4 TB), that is approx 1PB out of 4U rack units. Each node will have 15 SSDs associated (4×15= 60 per chassis)and 2 I/O ports and 2 cluster ports. Each node will have 16-core CPU, 256GB RAM, and 2x 40GbE front-end IO ports. For cluster connectivity, customers can have Infiniband or 40GbE connectivity. For adding existing node types (S/X/NL etc…) customers can use IB connectivity and 40GbE interface for adding additional Nitro chassis to the cluster. With Nitro, the minimum cluster size is a single chassis, i.e, 4 nodes. Each cluster can grow up to 100+ chassis in a single namespace. ISILON Nitro can have up to 6 times more IOPS than the S-Series per rack unit, 11 times more throughput than X-series per rack unit. HD series is the high-density array available today from the ISILON family with 472TB capacity. With ISILON Nitro, the capacity will be almost 2x compared HD series. ISILON Nitro supports all ISILON protocols and enterprise features including data protection, data management, data security and compliance capabilities. Nitro chassis can be used as a Flash tier with an existing ISILON array also. ISILON array has the ability to automatically tier the data. With the new Flash tier, the array can have efficient tiering of the data in an existing ISILON array. I didn’t even think of NAS arrays in All-Flash configuration an year back. But some of the modern data processing requirements are very much performance intensive and this needs the file storage to be capable. HD video processing and broadcasting, High-throughput DNA sequencing (Next-Gen Sequencing), IoT, Analytics etc.. are some of the examples for performance intensive NAS workloads. In a common man’s example, our televisions are now capable of displaying high quality, high resolution pictures and the technology is getting improved day-by-day. We will look for quality video while watching a soccer game, a stage show etc… The digital broadcasting technologies are in transformation for meeting this requirement and the underlying storage arrays also should be capable of processing, storing and retrieving the data in the back-end for making this to happen. That is where All-Flash arrays will play a significant role. With Nitro, ISILON has taken a step in advance as we will be seeing this area getting even wider in the coming years and there will be lot of developments happening here. This entry was posted in All-Flash, Announcements, EMC, Events, ISILON and tagged All-Flash-Array, Dell EMC World, Dell-EMC, ISILON, Isilon Nitro, Scale-Out NAS. Bookmark the permalink.